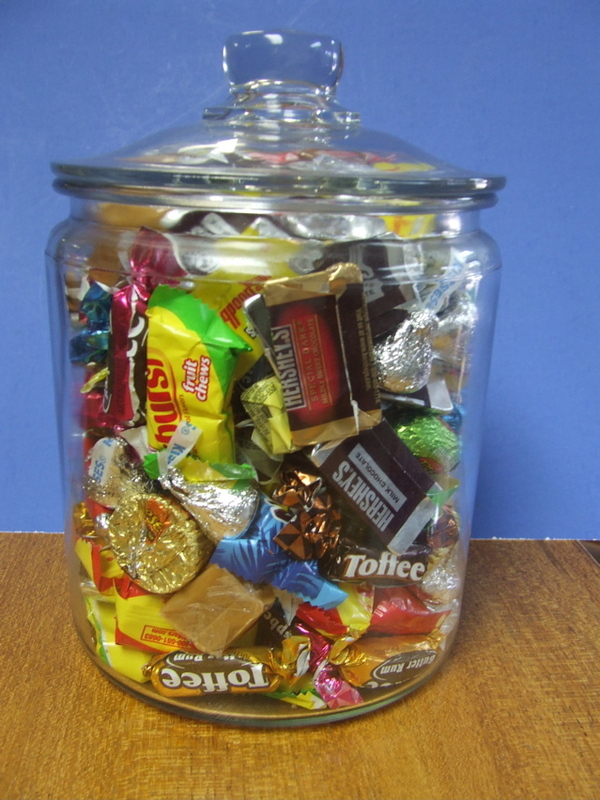 If you find yourself in Grand Rapids, Michigan and in need of t-shirts, or other promotional items, you could come face to face with this candy jar. Do you have the will power to stare it down and not lift the lid? I doubt it. The other day, from my office, I could hear the glass lid lift off, and the rumble and crinkling of paper as someone searched for their favorite treat. I walked out to the showroom and saw four grown men working on an order with Ingrid. All were working over their sweet tooth as well. Yep, each one of these guys looked…well…they looked like kids in a candy store. And, I guess that’s the whole idea anyway.